This City Hotel is Eco-Friendly and Conscious of the Environment, That is Why the Ambience of the Hotel is Perfectly in Tune With Nature. There Are 160 Rooms in Total. The Galaxy Discotheque Provides the Best of Technology and 10,000 Watts of Pulsating Music. The Casino Everest Has Been Flying the Flag For Gambling With a Distinctive Edge in the Capital. The Bugles and Tigers Gurkha Bar is an Elegant Bar Offering an Intimate Atmosphere; It is a Popular Rendezvous For Hotel Guests and Neighbourhood Residents. 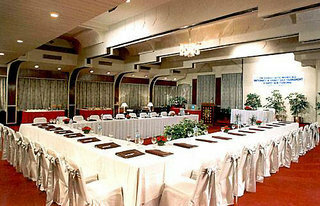 The Hotel is Air-Conditioned and Has a Lobby With 24-Hour Reception, 24-Hour Check-in/Check-Out Service, 24-Hour Currency Change Service, Lift Access, Hairdressers' Salon, Doctor On Call, Free Car Parking, Restaurants, Conference Facilities, Internet Access (Subject To Fees), As Well As Room and Laundry Services (Both Subject To Fees).